One of the most popular content management systems or CMS in the entire world is WordPress. 1/3 of all websites on the internet use WordPress as its framework. Websites like Time, TechCrunch, The New Yorker, Sony Music, all use WordPress. As you know, your website is a big piece of your marketing. 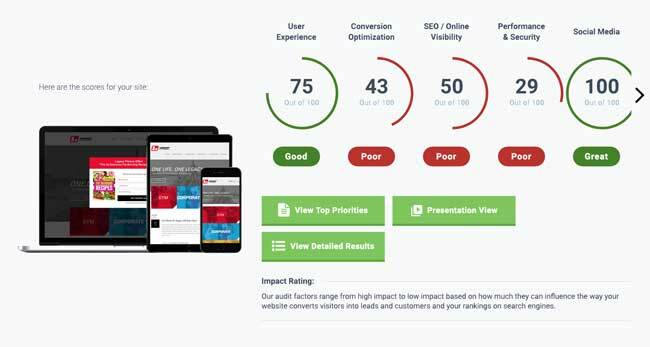 Granted, it may not be the piece that drives leads but for B2B websites, a website that reflects poorly on your company brand and message is the number one reason that they don't see results from their website. A website can generate leads but it can also cost you new business. If your customers' can't find you or can't figure out why they need you or what offer, at some point you're going to have to tackle this issue. Data driven decisions based off of research and analysis. Because this is your business, we want results. Your content drives the website but we offer tools and support to help you collect the best parts of your company. Pretty does not cut it. User interface and content drive leads. 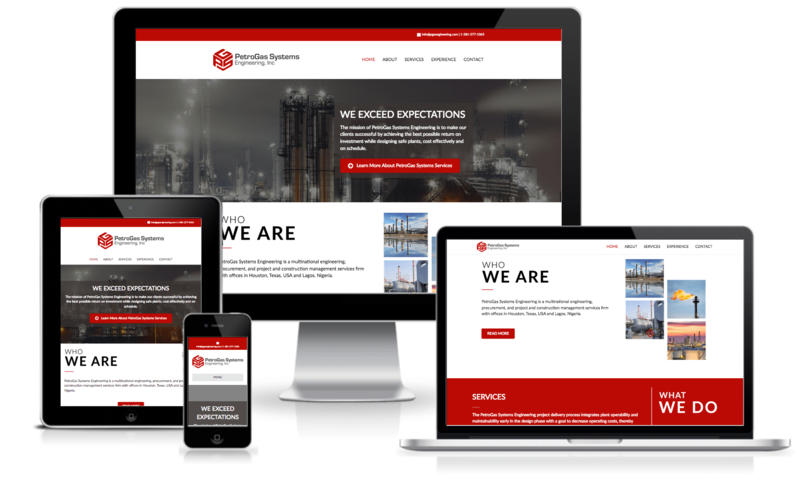 Responsive, flexible, and high performance websites that are easy to update and work for your company, not ours. We perform a 30+ point inspection before we your website goes live. Now more than ever small businesses need to be more proactive online. If your website doesn't represent your company well then it's not only not generating leads it's costing you money. Changes in how we get business through referrals and references have meant that your customer's first impression is no longer the first handshake or phone call. Before they even pick up the phone, they are heading to your website and social media channels to check you out. On top of all that, small businesses have to deal with the myriad of ways that your customers can learn about you. From reviews, social media, employment websites, articles on other websites are all conversations going on about you that you might not be aware are happening. Learn more about how your website drives your marketing strategy. Imagine your life when you start getting phone calls from the right customers. Imagine only qualified job candidates apply? What could you do then, instead of spending hours on wasted calls, bad leads or even no leads because they came to your website and it was not up to your top standards? What would it mean to your business when you see more online leads and phone calls help you reach your growth goals? That's why we not only create gorgeous websites that work, but we help you create a more comprehensive online strategy. It's everything that small businesses need to get results. We help B2B businesses that need to not only make a great first impression but have to understand other areas of digital marketing that may be confusing or time consuming or it's just not their thing. Have you ever spent days creating a website? Creating a website should be simple, right? Well, we definitely think so! That’s why one of the best advantages to using WordPress is that it’s easy to learn and can be used by virtually anyone. Yes, that’s right. Even if you are extremely bad with technology, you should have no problem using this platform. Contrary to other CMS tools that are designed primarily for experienced developers, WordPress websites prides itself on maintaining a user-friendly platform with a short learning curve. So, after playing around with the dashboard for about fifteen minutes, you will have a good idea about how the interface works. With a WordPress Web Design, gone are the days where you would have to submit changes to your IT department or an outsourced developer. Since the platform is so easy to use, anyone in your organization can log into the website and make important changes. The good news is that any changes to the platform will be posted immediately. Did you know that there’s a plugin for that? That’s right! When you use WordPress, you’ll be amazed by the platform’s extended capabilities for a variety of needs. From making a website load faster and optimizing meta data on each page to embedding forms on certain pages and creating an easy way for customers to sign up for your monthly newsletter, the platform offers numerous plugins to make your website top notch. The bottom line is that plugins create an easy way for you to manage and update your website. Most people are probably unaware that WordPress and SEO have become great friends in recent years. Because there are many different plugins that can be integrated into WordPress, optimizing web pages on this platform is extremely easy. The plugins that can be used to manage SEO data include meta descriptions, H1 titles, meta titles, and much more! In fact, the platform can automatically generate title tags and meta descriptions for all of your website pages. This amazing capacity can get your website indexed and move your website up in the rankings. Due to the popularity of WordPress websites, there has been a steady increase in the amount of forums, help sites, books, online courses, and seminars dedicated to supporting a worldwide community of users. The purpose of these many resources is to provide quick solutions to your problems as well as organized training for long-term knowledge. Because of these many great resources, you will be able to manage and update your WordPress website with ease. The best part of the big community of support is that the resources are usually free. Although we absolutely love working on web design, we know that everyone does not want to spend hours generating a website. That’s why we have made a commitment to do the dirty work for you when you invest in our unprecedented services. Do you need a website for your small business? WordPress is definitely the perfect solution! Along with the many benefits previously mentioned, we believe that this platform is perfect for your unique needs because it offers expanded capabilities, full content management tools, and proper coding. The interface also makes it easy to implement design changes. Most digital marketing experts will tell you that if you want to generate leads from your website then you need to spend hours and thousands on your website. They forget they are busy executives working hard trying to build a business. They forget that you need to focus on what you do best. They make it sound so easy. Small businesses need to stop thinking that it will only take a pretty website to make a difference with their online marketing. It's no longer the same referral network. Those days when your client would refer you, the prospect would call, you'd meet, you'd send a proposal. Remember those days? Yeah, those days are gone. Now more than ever, people are searching on mobile, sharing content on social, and Googling companies before contacting them. They're researching to see if you will be a good fit for them. Before they pick up the phone, they are fact finding. They are Googling your name to see what comes up. If you're not helping your customers understand who you and your business with some level of transparency then you're going to be left behind. Does your company website represent you at it's best? Does the website share and show-off your expertise and experience? Does your website express how you actually solve your customer's problems? WordPress Custom Design – We specialize in content management design using WordPress web design services. We can take WordPress and do some pretty amazing things. WordPress Installs and Migrations - We will install the latest version of WordPress on your server. If you already have a website and want a blog we can either customize WordPress to match your website or we can do our best to blend it to your current marketing brand. WordPress Hosting and Care Plans - We can host your website to keep it safe and secure. We'll back it up regularly, check for malware, speed it up, and more. We can custom design it or utilize a template – If you need custom design services, we can offer you a complete design package, turning the content management tool, WordPress, into your brand. Template? If your brand allows for it or maybe your budget, we can also find the right theme for a quick turn around. Have an idea but think it might be costly? Using various free and premium plugins, we will install and configure the features of your website and set up latest plugins that fit your needs. Need help with blogging? We can help you strategize so it's not so hard. There are tools and techniques that can help you with the daunting task of regular blog posts. Christina developed an entire marketing strategy and executed an online presence for our new company. [...] Rather than attempting to "boil the ocean" she charted a progressive strategy that the company can grow into. Christina has a good design sense. I would highly recommend her company and am prepared to talk to others who are considering hiring her. It's something you cannot ignore. More Google searches take place on mobile devices than on computers. 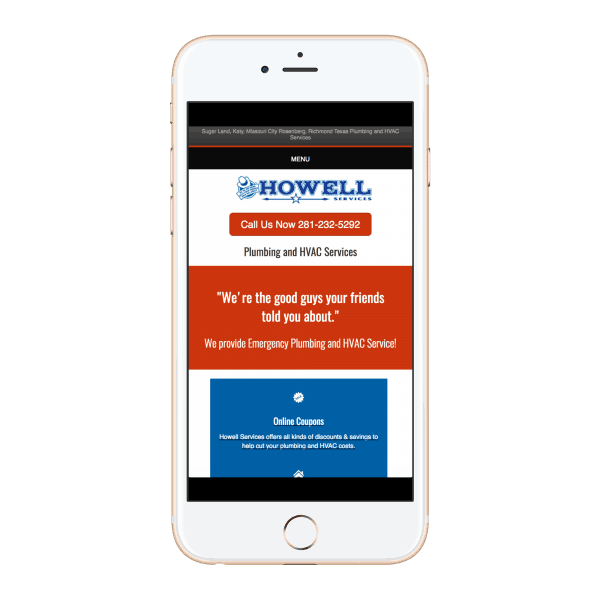 Creating a responsive design is one of the most important factors in your customer's online experience. Having a website that adapts to different screen sizes, we ensure your website is effective and easy to use on any device.